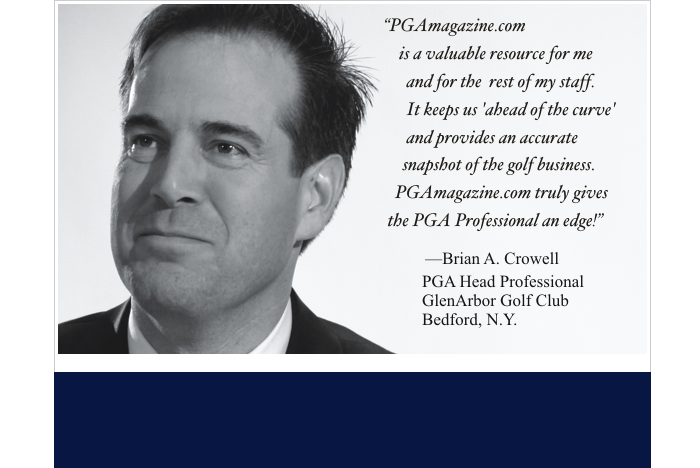 Leading online source for golf industry news featuring financial reports, new product releases, PGA Best Practices E-mails archive, AGM Corner, Access to PGA Magazine Digital Editions, the PGA Membership & Golf Directory and more. 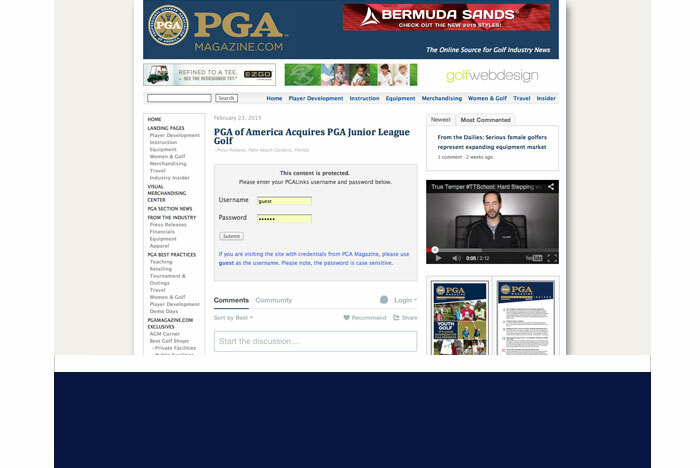 Password protected site accessible by 27,000+ members of The PGA of America, 600+ members of the AGM and 3,000+ media and golf industry insiders. 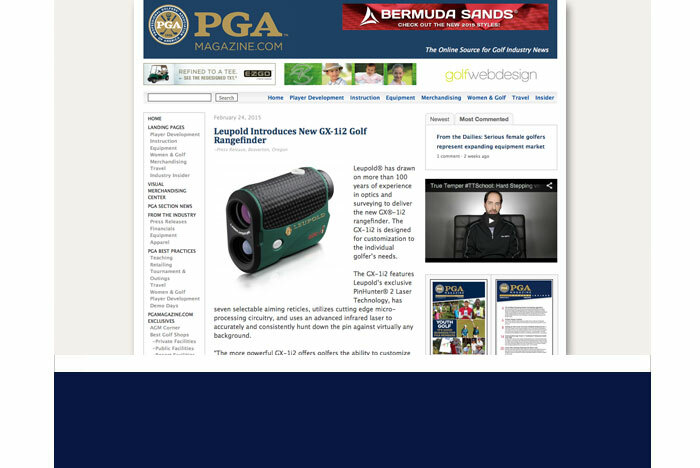 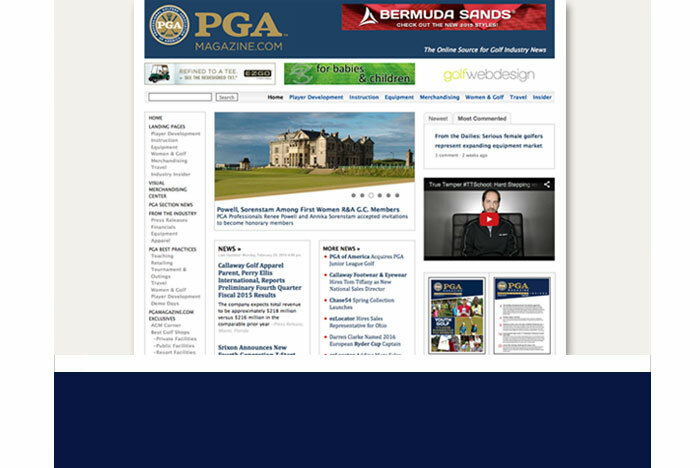 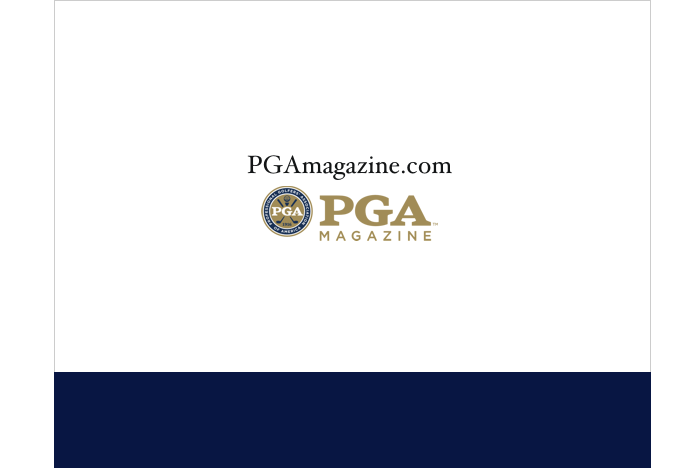 PGAmagazine.com receives 14,777 total page views, 4,251 total visits per month and 3,016 unique visitors. 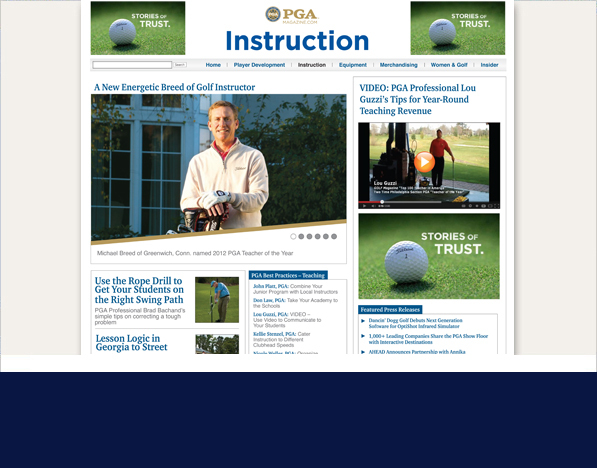 PGAMagazine.com’s Landing Pages offers PGA Professionals the ability to find information on subjects most relevant to their respective businesses as follows: Player Development, Instruction, Equipment, Merchandising, Women & Golf and Industry Insider. 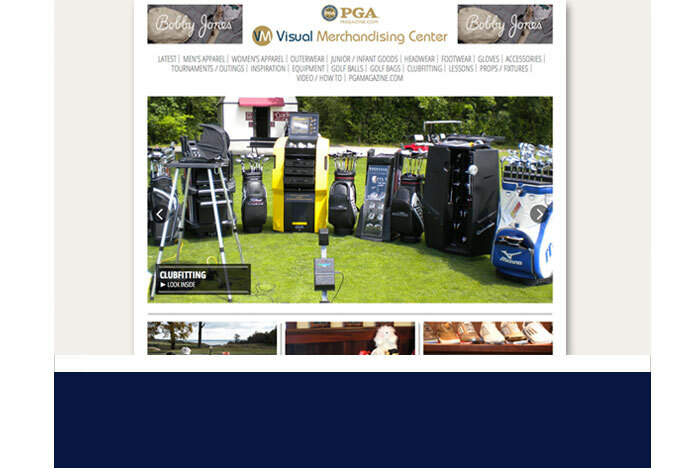 PGAmagazine.com’s Visual Merchandising Center (VMC) was designed for PGA Professionals, AGM members, shop buyers and the golf retailing community. 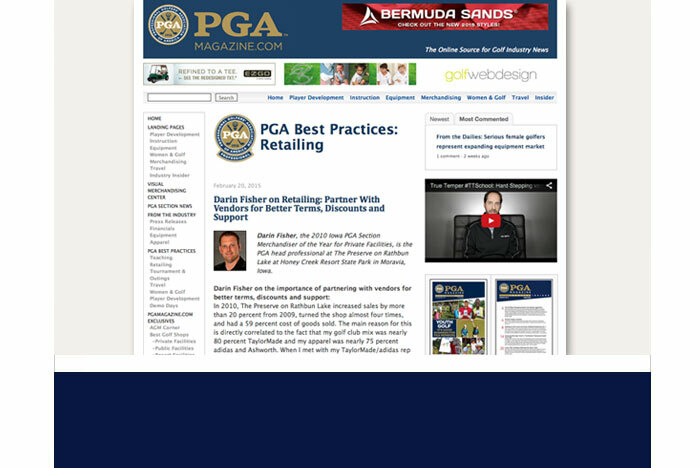 This platform was developed in consultant with more than a dozen past MOY winners. 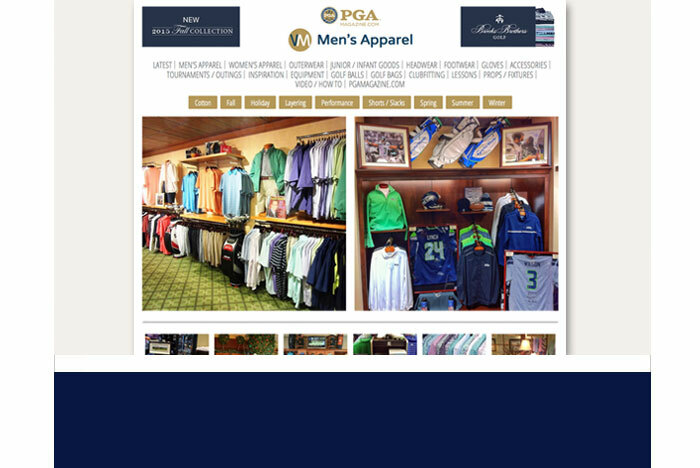 With 17 categories featuring photos/displays and the interactive features, this will be come the source for merchandising ideas and generate significant traffic of top buyers across the country.